Some good news to share, we bought a new testing location at the edge of Retezat Mountains ( 2500 alt. the highest peak ), a place with many lakes, glacier lakes, and mountain streams. The place is still in changes, but we shall have there a small fleet of S1waterbikes for fishing, testing, etc. The property is 1600 sqm, with a nice house from 1920, 3 rooms, a huge wooden barn; at the edge of Clopotiva village. A place to fish, rest and enjoy life. This entry was posted in Uncategorized on %A %B %e%q, %Y by Tudor. 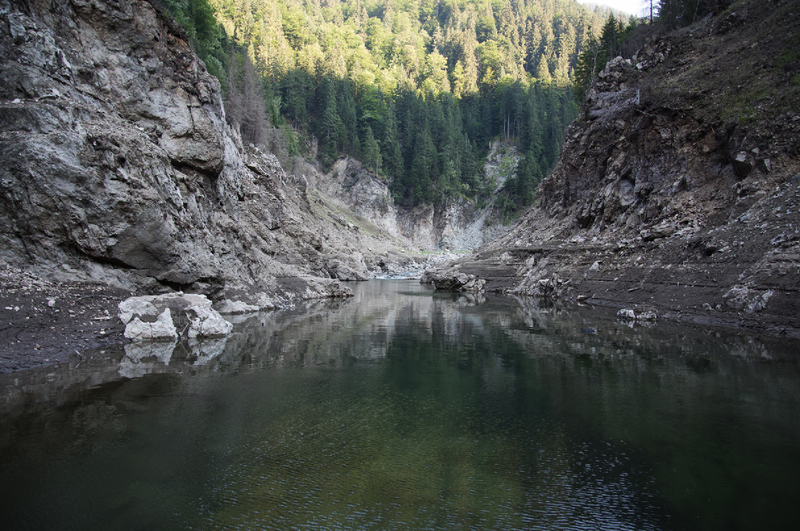 S1waterbike was a presence in MCD 8 held in June 2015 in Retezat Mountains, Romania. 3. Premiere – first CBOG IFFF in Romania, Lasse Karlsson from Denmark, member in Board of Governors, International Federation of Fly Fishers. 10. Clubului Muscaricilor from Timisoara new beer launch: Caster Intensive, exclusively produced by Clinica de Bere din Timisoara for our club event. 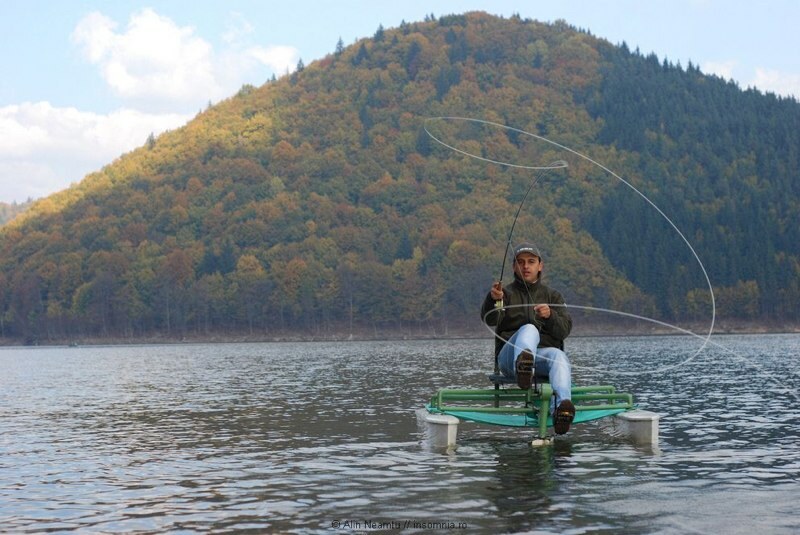 End of August 2014, Muscarici Fly Casting Days organized by Clubul Muscaricilor from TImisoara, on Retezat mountains area Romania, had a nice show up of the S1waterbikes latest models. The brands that participated in this event where: Sexyloops, Karpen Fly Fishing, Loop, Echo, Barrio, Tight Loop and S1waterbike. The invited guests, Paul Arden (Sexyloops), Thomas Berggren IFFF MCI THCI and Tommy Zimsen from Karpen Flyfishing and Djordje Andjekovic IFFF MCI THCI, had the chance to see and test the 2 models we are selling only on the Romanian market. 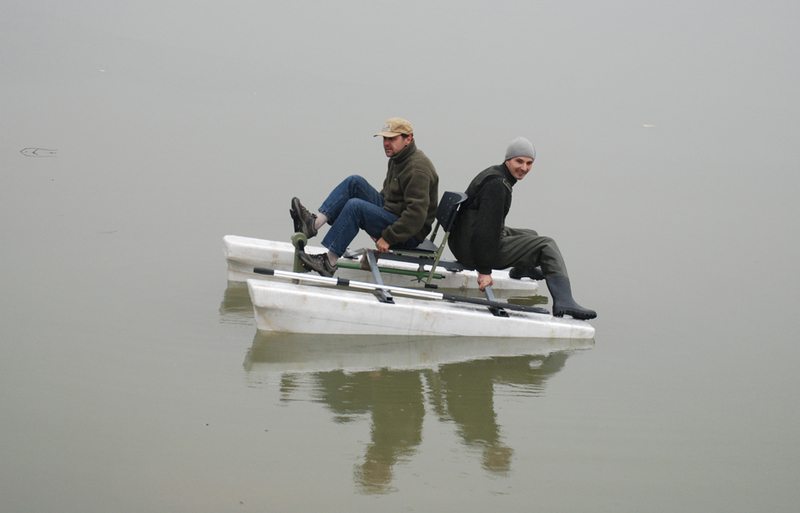 We had 2 rows of testing on the Ostrov lake in Hateg County Romania, an open space for casting on water and from the waterbikes. We had a nice meeting with Sasa Zec EFFA CI and Vladimir Glamocak SWISS CDC Team Member in Timisoara March 24-th 2013 with the Muscarici Casting Day edition 4-th event. Despite a very could day, with temperatures between 0 and +4 Celsius degrees, we could show and talk about the S1waterbike inflatable model. Sasa that has a 115 kg weight want’s to try the inflatable model on a small pond on the Timis river shore. He did some casting in strong wind and he wants to test the model further. He actually tried a 2 years old model that is used for rough testing in the area. So, no nice looking, new items and clean and shiny surfaces, just function and maneuverability! It was a nice day, dedicated to FF, with a lot of casting demo, workshop and clinic, with a nice flytying demo held by Vlada in the Evian’s Restaurant. Details on www.muscarici.ro on blog section. Several days of flyfishing on Timis river with the inflatable model given me the opportunity to test them in a hard way. I wanted to see if IÂ can get the same effect in fishing as the fiberglass ones, the same cloaking in fishing, specially for the sight fly fishing. The weather was warm and sunny, and most big chubs where just under the water surface looking for some insects. The results starts to appear right away, nice chubs start to strike. Drilling with the S1waterbike wasn’t a problem, I could follow all their movements without forcing the tippet ( 0,14 ). The inflatable floats work nice. The only problem I encountered was the wind stability; the wind moved me in unwanted directions, getting too close to fishing areas. But, pedaling upstream all the time, somehow I could compensate it. In several hours, I landed 14 chubs between 1 kilo and 2 kilos – thats more than nice for Timis river. Last friday I manage to land the biggest Lugojana ( a sub species of chub with a smaller mouth and more like a carp that leaves in numbers, and grows in bigger size ) in several years. All with my Loop Opti Creek #3 rod. The bad news is that the Czech company that can produce the floats, moves so slowly that I have to find another solution or as quick as possible another producer. The actual floats are mono chamber, and I want to develop a twin chamber model for user safety. 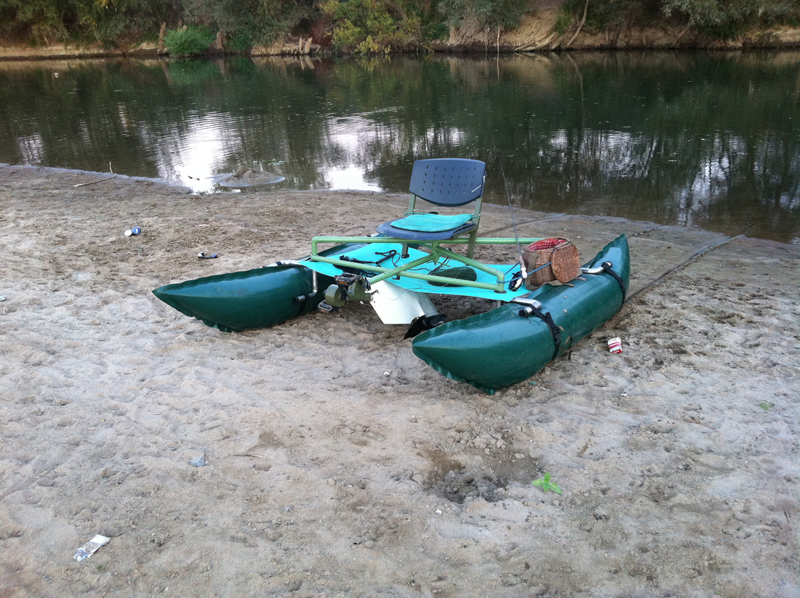 In the case that one chamber is deflated/broken in usage, the other oneÂ can held the waterbike in use. All those days we are working hard on the next model on S1waterbike, the model 2. The new model will bring bigger floats for maximum carried weight up to 150 – 170 Kg, made from PDE, and a new frame developed in a “H” form. 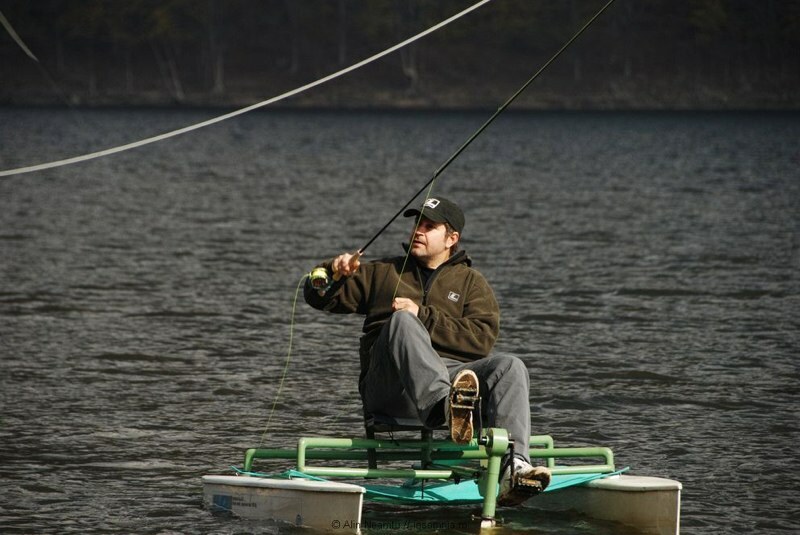 So in our developing program, the S1waterbike will be available for heavier fishermen, with improved stability front and back, same maneuverability and just a little less speed in fast pedaling. The total size will be 210 x 150 cm and the floats high will be 45 cm. The image shows the maneuverability test on Bega river with the basic floats form. We hope to be ready with this mode at the and of April. Soon will talk about inflatable pontoons and the adapted fixing pieces for the X frame. On 14-17 october 2010 with the occasion of Fly Fishing Days – Zetea, an event organized by Clubul Muscaricilor Timisoara and local partners, Thomas Berggren – Loop Pro Staff, FFF – THCI, MCCI, Lilla Malma Fishery Sweden and Veljko Andric EFFA CI Serbia, had the opportunity to test the S1waterbike on Zetea lake. 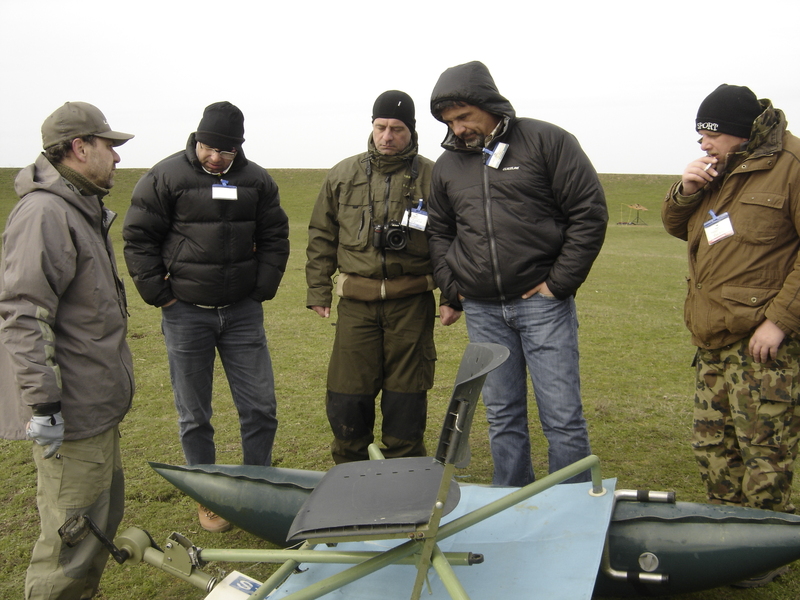 Together with the developer Tudor Vreme and the producers ABC Systems, they had some new models on testing and a 3 years old used model, to see the endurance of the product. They did a lot of casting from it and they where pleased with the product. Details you can find on Thomas interview and above Veljko’s feedback. Thomas had an interview at Fishing & Hunting Channel, where he was amazed by the possibilities that S1waterbike can give you on fishing – the interview is online on our web page. Their impression was very good, they see a future for this product and they are looking forward to test it more. The filming team we had from Fishing and Hunting TV Channel on that event ask us for a S1waterbike that they need to use future filmings. We agree to make a collaboration with the future model of S1waterbike with inflatable floats. The first time I tried a S1waterbike was in Zetea – Romania. I was fishing with S1 one day. My impressions: Easy to use, easy to transport and install, efficient, the fisherman is out of the water (a big plus), everything is clean and elegant (as all the fly fishing), the most important detail is that the fisherman both hands are free for fly casting. Definitely it is something special. I think that is very useful on the lakes, pounds and slow water. I ‘ll take one in the future. I have a boat but this is definitely something special. I would not have change anything on it, definitely in my taste. On Sunday morning I start to search a new area for fly fishing on Bega river. I drove from Timisoara to Belint for arround 45 Km, and than I left the road on the left side to a country road that goes to Balint. This road pass the Timis river adduction channel to Bega, and than in the upper part of Bega starts a wild and nice place for fishing. I start to cast my flies and even if I didn’tÂ had big catches, I manage to have some nice chubs at wet flies. The place is awesome, and is nice for pedaling, bird watching, or for a leisure time in wild nature, for fishing is a paradise, and even if you catch nothing, the place has a huge potential.